Grab, explore, sort, and discover! 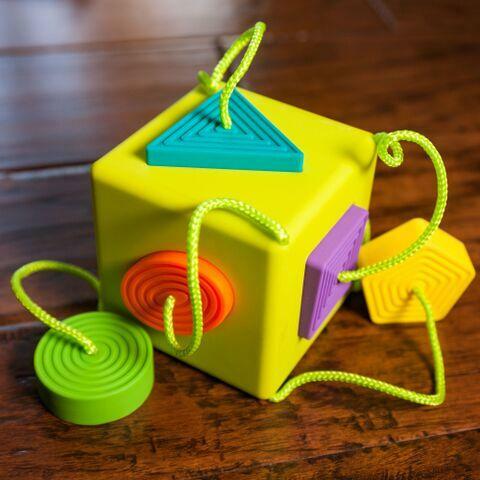 This shape-sorting cube comes with 6 rubbery shapes tethered to its corners. Encourages fine motor skills, sensory learning, tactile exploration and visual-spatial skills. Made of 100% food-grade, BPA-free silicone.